As the age-old saying goes, “knowledge is power,” and Jack Fein believes it. An instrumental member of Mercadien for more than four decades, Jack educates colleagues, clients, and other professionals on nonprofit regulations and accounting issues. Founding the firm’s Nonprofit and Human Services Group over 30 years ago, Jack is still extensively involved in the nonprofit sector, working with more than 85 organizations. Drawing from his numerous years of experience, Jack helps shed light on issues nonprofit organizations face, and mentors the CPAs who will potentially work with those organizations. Because of his heavy involvement with these organizations, Jack had the opportunity to propose and draft revisions to the Charity Registration Act, which governs all nonprofit organizations in New Jersey. Due to his extensive knowledge, Jack has served as long-time editor of the Nonprofit Examiner, Mercadien’s newsletter widely-distributed to the nonprofit community. 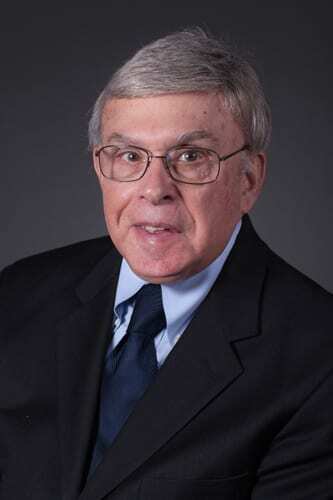 He has written several articles on management and accounting in national publications and professional journals, and has lectured at The College of New Jersey (TCNJ) and Mercer County Community College. A true subject-matter expert, Jack was one of the lead curriculum designers in developing the highly-acclaimed Nonprofit Management Program that was co-sponsored with TCNJ. Personal Fact: In his spare time, Jack enjoys spending time with his wife and grandchildren, and with his congregation.